Pastor Mike is a Costa Mesa shareholder. Since 1995, he has served as a Chaplain for the Costa Mesa Police Department and is known as the "Voice of the Mustangs" as a result of his announcing the Varsity football and basketball games for Costa Mesa High. 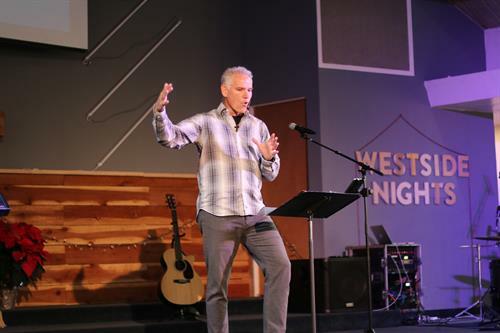 Palm Harvest Church is committed to helping people grow in their relationship with God; and to live out their faith journey with "rolled up sleeves." Servant leadership is a company core value. PHC has been a Chamber member since 2001.